Founded by two local families in 1989 we have grown and expanded for just one site, to now looking after over 700 children with 9 nurseries covering the Tees valley. We are an established nursery childcare provider and our mission is to give the children in our care the very best possible start in life, we are proud to say we have done this for thousands of children already! Our educational approach alongside our outstanding reputation and excellent OFSTED reports shows the passion and commitment to your child’s care and education. Our teams of experienced staff are all fully qualified but are more importantly friendly, loving, and enthusiastic about childcare, giving you’re child the care and attention they deserve. All our staff have great relationships with each other, the children and their parents or carers and are very committed to providing quality care and education within our nurseries. Please navigate this site to find out a little bit more about our settings and what we have to offer you. 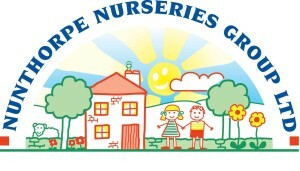 We would be delighted to show you and your child around and answer any questions you may have. Telephone us on 01642 325 312 or complete our contact form.